It’s back once again!!! 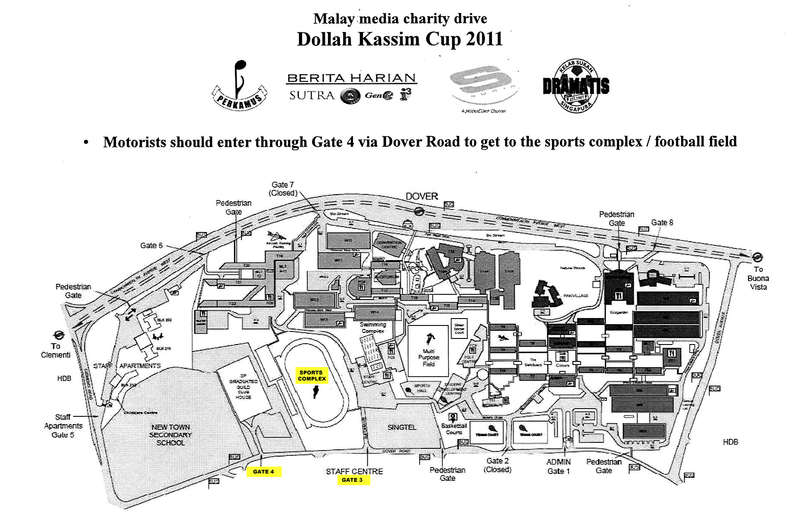 Piala Dollah Kassim, a charity football tournament involving the local Malay media and television personalities, which was successfully held last year, makes its return again this year. Now into its fourth edition since it was first conceived and incepted in 2002, the tournament this year has broken the norm of previous years’ editions in having it a year after the last one. Previously the tournament was held once every two years, with a gap of six years between the first and the second editions. I believe due to the success and support from last year’s tournament, especially the Grand Final where two thousand-odd people witnessed it at Yishun Stadium, it is only natural that it has been changed to an annual affair. But for how long it will remain that way, it’s up to the organisers, PERKAMUS, who have worked hard to make it happen again this year. For that, they deserve every pat on the back they get. This year’s event is probably an emotional one for myself and of course the family of Allahyarham Uncle Dollah. Regular readers of this blog would know by now the family ties that we share as his wife and my mother are sisters. This will be the first time the event is held without him around anymore. Even when he was in a state of coma and bedridden last year, I felt his presence and spirit cheering me on from the stands when I played for the Mediacorp Suria team as its goalkeeper. There were good and bad memories from last year’s tournament, the good of course being able to play in front of a near capacity crowd and the bad, well I’ll just leave it as that, but I tend to take positives out of the few bad ones. This year, I will reprise my role as the team’s custodian once again. I would like to take this opportunity to thank Mediacorp Suria for placing their faith in me and it is an absolute honour to represent my family and play in the tournament again. 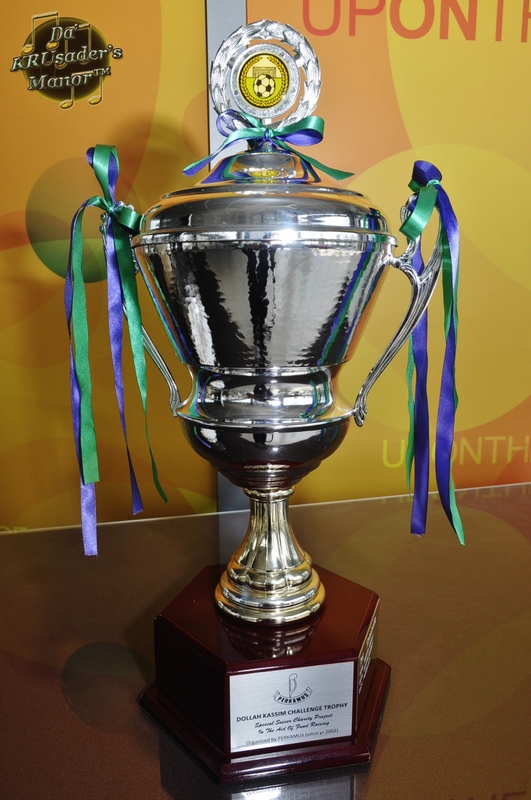 Once again the tournament will be a four-cornered fight between Berita Harian, Dramatis, Mediacorp Suria and the organisers as well as the defending champions themselves, PERKAMUS. The draw to determine the respective match fixtures was recently held at the rooftop of the Singapore Press Holdings‘ building on 25th September 2011. Representatives and several players from the respective teams graced the occasion, not forgetting the various kind sponsors of the event. This year, the beneficiary organisation who will receive the proceeds from the event will be Darul Ma’wa Children’s Home. Several side-events and carnival have been lined up during the days of the qualifying matches and these are kindly organised by the good people of Bikers’ Aid International, a professional fundraiser and charity organising management consisting of 40 motor clubs with mixed races and genders from 3000 motorcycles members here in Singapore and Malaysia. 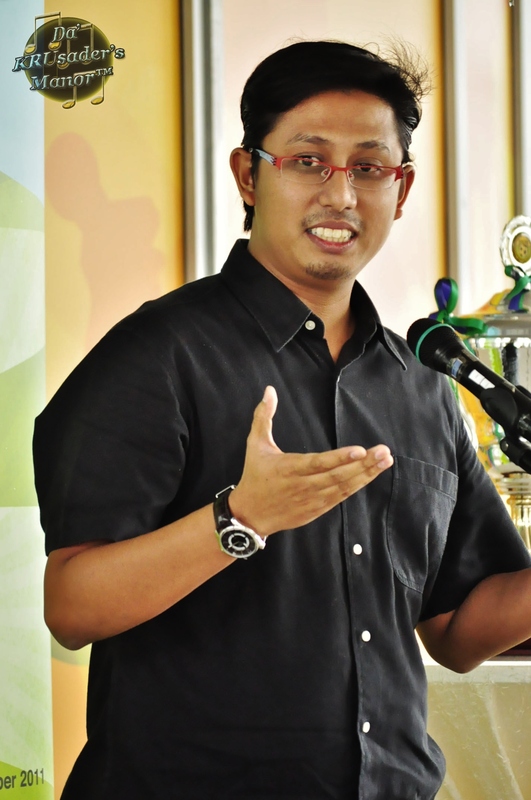 Though I will not delve much on what happened during the launch per se, it was heartening to hear the President of PERKAMUS, Cikgu Yusnor Ef, appealing to other organisers of football-related events not to misuse the good name of Uncle Dollah and also to seek his family’s approval before using his name for their respective events. 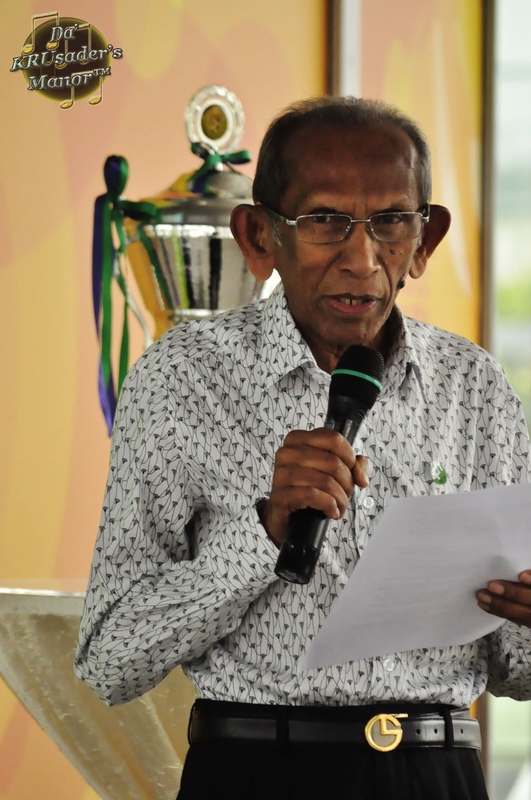 I’m sure older readers of this blog would remember how I went on a ranting spree last year, when some irresponsible people came up with the idea of having a football academy using Uncle Dollah‘s name without seeking his family’s approval. And it was just last week that our family found out that a football competition organised in Tampines also used his name without seeking prior approval. We’re not trying to be high-handed, but I’m sure nobody likes others to use one’s own family members’ names without first seeking permission. Like what Cikgu Yusnor said, “Do not misuse his name to the point that it becomes devalued and cheap…” As a family, we do not want Uncle Dollah‘s name to be used by any organisation for their own benefits. Uncle Dollah was a generous man, any event organiser that uses his name in future should take note that any proceeds from their event, must go to a charity organisation. Over the years, the family has been working closely and have absolute trust in PERKAMUS, because they have been doing the right thing. Uncle Dollah‘s son, Ezaad, urged all players to check their fitness and health before taking onto the pitch so as to prevent a similar occurence of what happened to Uncle Dollah back on 4th Oct 2009. I do not know who will be playing in the other teams, other than Nick Mikhail, Izzat Yusoff, Amy Kecik, Khairudin Samsudin, Faizal Ramli amongst others, playing for the Dramatis team and Jeff Catz for PERKAMUS. But I’m quite confident that our Mediacorp Suria team, with the injection of new players from the Anugerah Skrin 2010 competition, and retaining half of those who represented the team last year, will try and give the defending champions a run for their money. This year Mediacorp Suria will be represented by renowned television personalities Rafaat Hamzah, Fauzie Laily, Syed Azmir (captain), Shahril Wahid, Effandy Idris and the Anugerah Skrin 2010 alumnus like Shahril Kahar, Aidil Jufri, Mohd Idris Jamin, Raja Razie and Muhd Dzar. We also welcome into our team the likes of actors-hosts Fadhlur Rahman and Taufiq Salleh, who represented the Dramatis team in last year’s tournament, as well as Khairul Ruzaini (the son of actor Jasmani Basri), and Razif Ariff, who are both part-time actors themselves. In short, this tournament is sprinkling with stars all in the name of charity. All qualifying matches will be played at the Singapore Polytechnic stadium on three consecutive Sundays, beginning 9th October 2011. 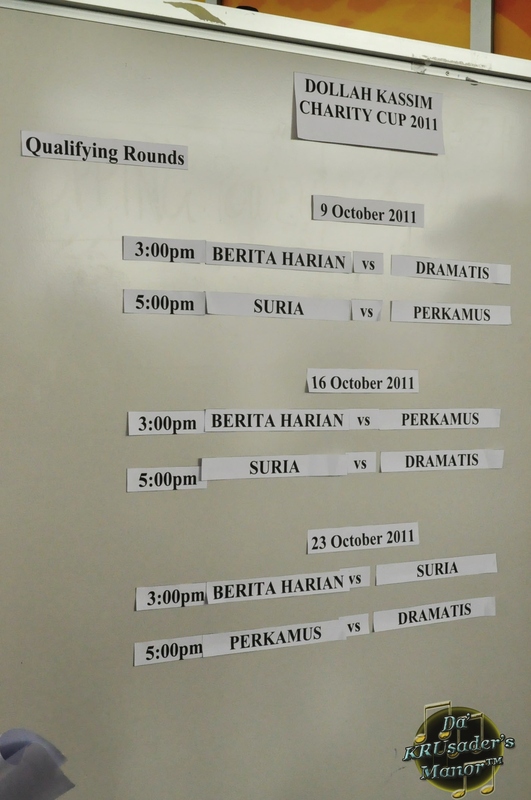 The first match will kick off at 3pm with Berita Harian facing off with the Dramatis team. Mediacorp Suria will play against PERKAMUS at 5pm. 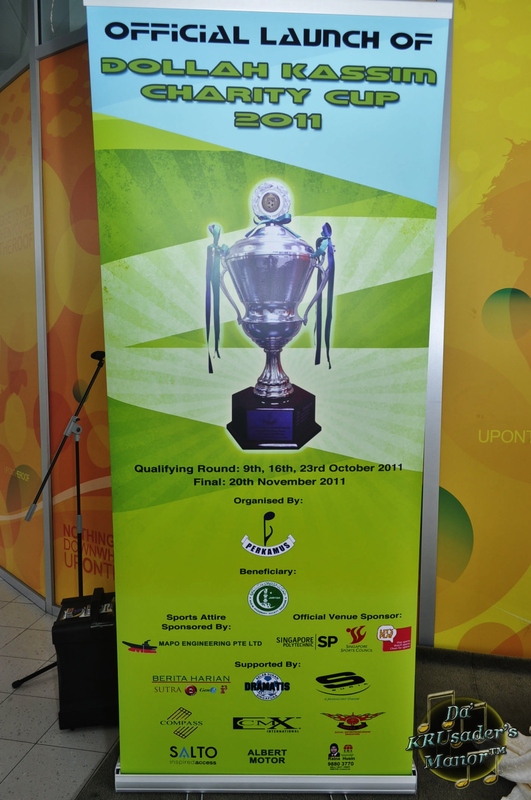 The 3rd and 4th placing match as well as the Grand Finals will be held on 20th November 2011 at the Woodlands Stadium. Admission to all the matches is free. So if you do not have anything to do for the next three Sundays, do come down and support your local personalities and also help to do your part for charity. See you there!!! May the best team wins!!! Need to pay to got to woodland stadium?? ?